What’s included with the Thyroid Health Kit? Why is this the best nutritional support for the thyroid? What are the top 3 questions people ask about the Thyroid Health Kit? The Thyroid Health Kit is nutrition for your Thyroid. 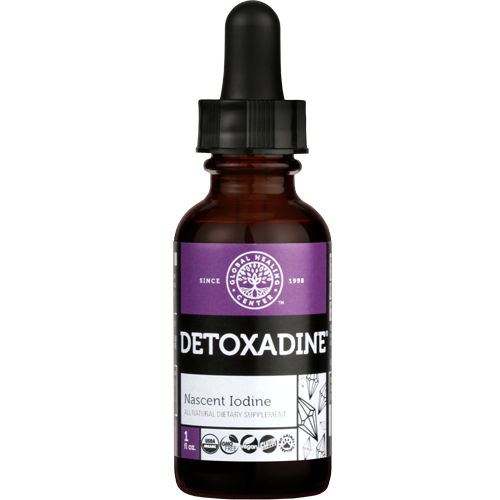 It includes Detoxadine Nascent Iodine and our premium Selenium Extract to provide complete nutrition to support normal thyroid health. Also included, to encourage normal energy, is VeganSafe B-12, a blend of methylcobalamin and adenosylcobalamin, the two most bioactive forms of vitamin B-12. For extra support, add organic Turmeric; it contains potent antioxidants to soothe thyroid redness and irritation. Ginseng Fuzion is a blend of six powerful, herbal adaptogens that promote energy and encourage physical and mental balance. Additionally, when used as directed, the Thyroid Health Kit is a 30-day program and you will have an additional 30-day supply of Selenium and a 60-day supply of Detoxadine remaining after the initial 30 days. You can purchase an additional bottle of VeganSafe B-12 to extend the kit to a 60-day program, depending on your individual needs. The thyroid performs many important functions and when it’s out of balance, fatigue, unexplained weight gain, sensitivity to cold, and irritability are sure to follow. Proper and complete nutrition can help promote the thyroid balance you seek. Are you frequently tired or exhausted, even after sleeping? Do you lack the energy to get through the day or perform normal tasks? A thyroid that’s not in harmony could be to blame for robbing you of the energy you need to get through the day. Even worse, most people who have an underactive thyroid do not get enough vitamin B-12. The Thyroid Health Kit offers nutrition to help fill the gaps so you can feel more alert, have more natural energy, and stop relying on coffee. Whether you’re trying to achieve a healthy body weight or maintain where you’re at, metabolism is key. The thyroid needs iodine and selenium to produce T3 and T4 hormones, which are crucial for metabolic processes. A sluggish metabolism can quickly become a downward spiral where a lack of energy discourages exercise and further unhealthiness. The Thyroid Health Kit is nutrition that supports the thyroid and encourages a normal metabolism. Is your hair or nails brittle and dry? Is your scalp itchy? Does your skin have a dull appearance? Does your hair not look as thick and full as you’d like? Is thyroid imbalance at the root? Filling the gaps in your nutritional intake can help encourage the radiant looking hair, nails, and skin you desire. Global Healing Center products are carefully made in the USA from globally sourced ingredients under strict quality controls and contain only the best ingredients. The Thyroid Health Kit is an opportunity to invest in our best supplements for thyroid health and save money. Thyroid disorders affect 20 million Americans; 80% are women. The American Thyroid Association warns that 60% of persons suffering from thyroid disorders don’t know it. 1 in 8 women will experience some type of thyroid disorder in her life. Pregnant women with an unhealthy thyroid have an increased risk of issues with their pregnancy or their child’s development. According to the World Health Organization, iodine deficiency is a public health problem in 54 countries and the CDC reports that iodine deficiency is one of the four major deficiency diseases in the world. As many as 30% of adults over 50 are unable to absorb B-12 in food. According to the 2012 WHO report, nearly 800 common, everyday chemicals are known or suspected to interfere with hormone receptors and thyroid function. Nascent iodine is easily absorbed and promotes optimal tissue saturation. Contains certified-USP grade iodine from an all-natural, deep-earth source. Supports the thyroid and encourages normal hormone balance. Helps detoxify toxic halogens such as fluoride, chlorine, and bromine by securing thyroid receptors. Gentle glycerin base, no harsh alcohol. Necessary nutrient for the production of thyroid hormones. Supports the production of glutathione peroxidase, a critical antioxidant enzyme that protects the thyroid from free radicals. 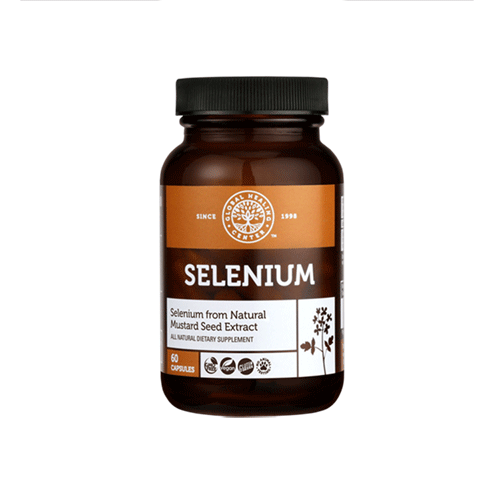 Unlike other products made from synthetic selenium, Global Healing Center’s selenium is a whole food form of selenium extracted from certified organic mustard seeds for fast absorption and maximum bioavailability. Provides methylcobalamin and adenosylcobalamin, the two most bioactive forms of B-12, in one ultra-absorbable formula. Vitamin B-12 promotes energy production by supporting the adrenal glands, red blood cell formation, and the conversion of carbohydrates to glucose, the fuel the body uses for energy. Vegan-friendly, liquid formula is delicious and easy, no injections. 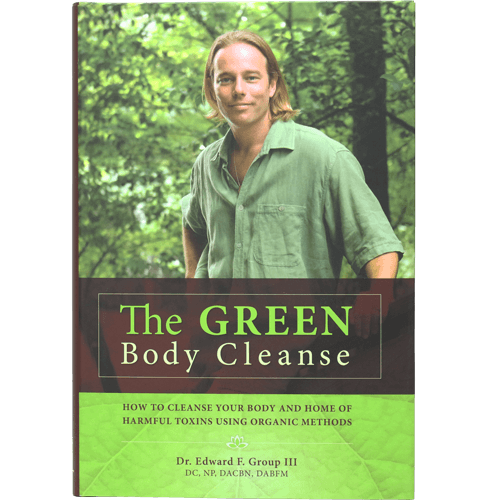 Dr. Edward F. Group III has compiled more than twenty years of research and results into his latest groundbreaking book. He reveals what he has learned throughout his years counseling people with serious health conditions. It's information that everyone should possess to help them make healthier choices. Dr. Group explains the many sources of toxins in your diet, home and workplace, and how they cause sickness and disease! He reveals how you can vastly improve your health by cleaning the air, water, and food you consume on a daily basis. 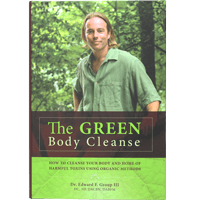 The Green Body Cleanse provides remarkable information for achieving a healthier body and living a clean, green life. High in curcuminoids, natural antioxidants that are 3x more powerful than grape seed extract and encourage cellular health by fighting free radicals. Spagyrex® processed, certified organic turmeric suspended in a gentle, vegetable glycerin base. No harsh alcohol. Ginseng is a natural adaptogen that helps you better cope with stress and reach equilibrium. Boosts energy levels, fights fatigue. Antioxidant action soothes red, irritated tissue. Promotes overall health and balance. 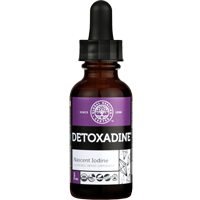 Detoxadine is deep-earth sourced nascent iodine for maximum purity. Global Healing Center’s selenium is food sourced from organic mustard seeds and extracted with water. It’s vegan-friendly and easily absorbed. 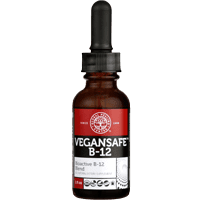 VeganSafe B-12 is a blend of adenosylcobalamin and methylcobalamin, the two most active forms of B-12. 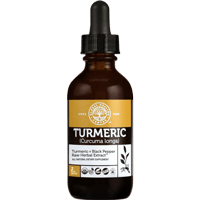 Global Healing Center’s liquid turmeric formula is produced from organic turmeric, offers antioxidant curcuminoids to soothe irritated tissue, and, with its gentle, glycerin base, is guaranteed to satisfy even the most discerning individuals. Ginseng Fuzion is a blend of six powerful, herbal adaptogens that promote energy, reduce stress, and encourage overall physical and mental balance. Made in the USA from globally sourced ingredients at a state-of-the-art manufacturing facility. Our well-trained customer service team is available to answer questions. Vegan-friendly and made in the USA from globally sourced ingredients. Fully backed by Global Healing Center’s 180-day, money-back guarantee. 1. What are the signs of an imbalanced thyroid? A thyroid imbalance can manifest itself as either an underactive thyroid or an overactive thyroid. When the thyroid is underactive, it’s common to experience low energy, unexplained weight gain, unhappy mood, irritability, or dry skin or nails. Signs the thyroid is overactive include anxiety, heart palpitations, muscle weakness, or digestive disturbances such as diarrhea or occasional constipation. 2. Why is iodine important for thyroid health? Iodine is a key nutrient that the thyroid uses to make T3 and T4 hormones. The body cannot produce iodine by itself, it's required to get it from foods or supplemental sources. 3. Why is selenium important for thyroid health? Selenium is an essential trace mineral and it's critical for thyroid hormones. It supports the production of glutathione peroxidase, an antioxidant enzyme that protects the thyroid and boosts antioxidant activity in the body. Get enough sleep, practice stress reduction techniques like meditation or deep breathing exercises, avoid common endocrine-disrupting chemicals such as BPA, bromine, perchlorate, pesticides, PFCs, phthalates, and fluoride. A balanced diet that provides a complete spectrum of nutrition is part of living a healthy lifestyle. Nutrients that specifically support the thyroid include iodine, selenium, and B-12. Foods that contain iodine include dulse seaweed and other sea vegetables and deep sea fish such as cod and haddock. Beans, such as lima or pinto beans, are an excellent source of selenium. Almonds contain both selenium and essential B vitamins. Periodic body cleansing can help break up toxins that accumulate as a result of exposure to environmental pollutants and chemicals. Need more help? Our trained customer service team is here and has helped thousands of people just like you! Get Started Today & Discover How The Thyroid Health Kit Can Support Your Health! We’ve received great feedback from those who take Detoxadine and Vegansafe B-12 in the morning 30 minutes prior their first meal and Selenium preferably upon first meal. Take 1 serving, approximately 2 droppers, in the morning and 1 serving in the afternoon or evening, or as recommended by your healthcare practitioner. Take 2 droppers equal to 1/4 teaspoon three times daily or as recommended by your healthcare practitioner. If all supplements are taken as directed, you will also have an additional 30 days of Selenium and 60 days of Detoxadine left after the initial 30 days. You can purchase an additional bottle of VeganSafe B-12 to extend the kit to a 60 day program depending on your individual needs. Ginseng Fuzion: Adaptogenic Herbs: What Are Adaptogens? 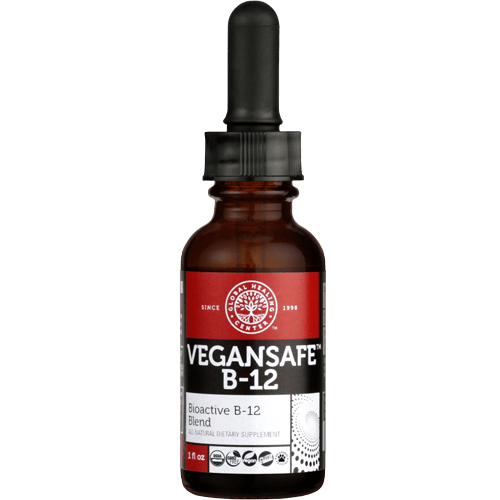 Why is VeganSafe B-12 included and available as an add-on? What effect does stress have on the body? How much selenium is enough? What role does B-12 play? What benefit does turmeric offer? What does Global Healing Center's liquid Turmeric extract taste like? If all supplements are taken as directed, you will have an additional 30-day supply of Selenium and a 60-day supply of Detoxadine remaining after the initial 30 days. You can purchase an additional bottle of VeganSafe B-12 to extend the kit to a 60-day program. Stress, especially chronic stress, causes chemical changes and inflammation in the body. It can affect everything from hormonal balance to the way neurotransmitters process information. If you do not have a thyroid, iodine is not necessary to create thyroid hormones. However, that doesn't mean the rest of your body doesn't need iodine -- it does. Iodine is necessary for breast and prostate health (the second largest iodine storage sites after the thyroid). It is also used by the adrenal glands, parotid glands, mucosal lining of the intestines, uterus, ovaries and more. It is a necessary nutrient for maintaining healthy cell life cycles. The recommended dietary allowance of selenium for adults can range from 55-200mcg. Adult females may need as little as 55 mcg; adult males as little as 70 mcg; pregnant females at least 65 mcg; and 75 mcg/day for lactating females. For adults, the safe upper limit is 400 mcg/day. 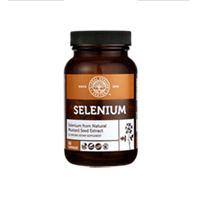 If you’re unable to obtain enough selenium in your diet, a selenium supplement can ensure regular and consistent availability. What role does B-12 play in thyroid health? Vitamin B-12 is most commonly known as the vitamin that supports normal energy levels. Research has confirmed that most people who have an underactive thyroid are deficient in vitamin B-12. Turmeric may help the thyroid by soothing the irritation caused by endocrine disrupters. Global Healing Center’s liquid turmeric extract is light and sweet with a mild turmeric flavor. It is not spicy or overpowering. Adaptogenic compounds, like those found in the herbal extracts of Ginseng Fuzion, are recognized for supporting a healthy response to stress. The body reacts to stress by initiating a hormonal response only meant to exist in short bursts. Adaptogenic compounds may help support the body’s response to modern-day chronic stressors. It's imperative to stay hydrated -- always -- not only while taking the Thyroid Health Kit. Dehydration is the most common cause of stress on the body. Ideally, every day, you should consume half your weight in ounces of water. For example, if you weigh 180 pounds, drink 90 ounces of water on a daily basis.